Scoliosis Analysis should include imaging of the spine and posture. Our Doctors offer a completely radiation free option scoliosis analysis. We offer Raster Stereography seen above in all our Satellite locations. Reducing exposure to ionizing radiation is something we take very seriously. Today we can image the spine using Stand Up MRI technology and posture imaging systems like the Diers Formetic Scanner. When x-ray is used we routinely use breast and gonadal shielding as well as high frequency digital radiography. .Research Articles on Scoliosis Analysis and Kyphosis Analysis. A Proven Technology…The Formetric was Invented in the 1980s to periodically evaluate the progress in scoliosis treatment. without subjecting the patient to harmful radiation. It is widely used, since 1996, in Germany and other European countries by orthopedic doctors and surgeons. 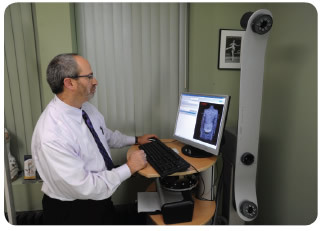 The Formetric is FDA approved.The Formetric works by using a harmless white light to deliver a fast (40 milliseconds) high-definition optical measurement of the surface of the back to produce graphical, clinical and analytical information on the spine, the pelvis and posture — without the need for radiation or intrusive measures. .
Scoliosis Analysis for the 21st Century- This non-invasive, harmless imaging has allowed us to reduce x-ray exposure to our patients by 50%-75%. 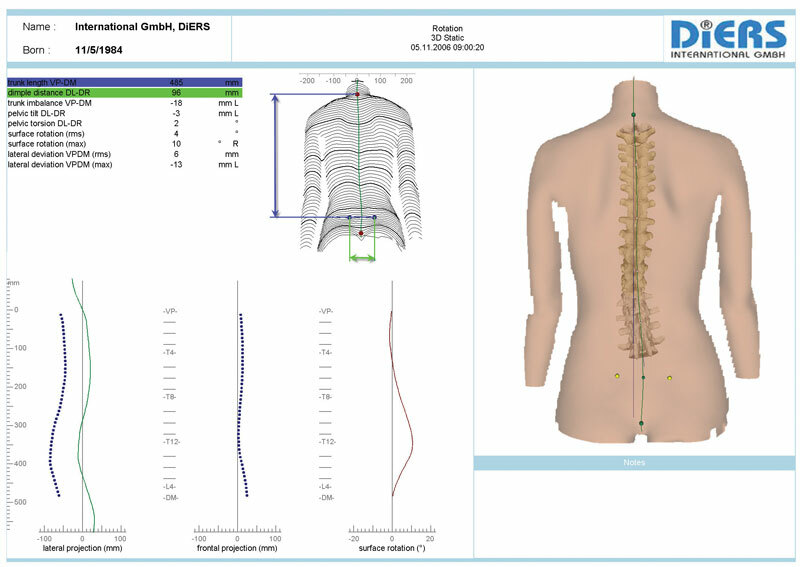 With over 1,000 of these units being used throughout Europe and Canada, the Formetric Scanner has proven itself as a usefull tool in the management of Scoliosis. Our 15 Regional Centers offer this technology for initial and follow up examinations when x-rays would otherwise be necessary. As is often the case, when our methods are successfull, not only does the spine curvature reduce, but so does the cosmetic appearence of the patient. 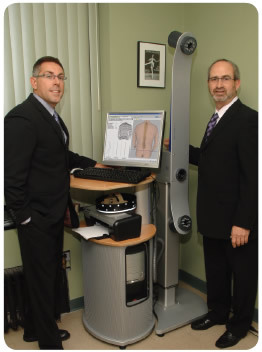 The Formetric scanner offers an unique look at the three dimensional correction our patients enjoy, and it allows us as clinicians to document improvements in posture and body contours following our care. The optical image can be viewed immediately. Images can be scanned with patients in “corrected posture”. Screening for idiopathic scoliosis in adolescentsAdolescent Idiopathic Scoliosis usually becomes evident in the early adolescent years. It is a spine deformity characterized by lateral and rotational curvature of the spine. Scoliosis screening provides the opportunity to diagnose the condition and make referral for appropriate medical care. . This entry was posted in Scoliosis on April 4, 2014 by strong-admin.